(From left) Brooke Moore, Vern Hawkins, Karen Hawkins, Kerry Hawkins Moore, Morgan Moore, and Zachary Moore on race-day. The first time I heard about the Susan G. Komen Race for the Cure Houston was with my National Charity League (NCL) group. A girl was saying she had done the race when her family was affected by breast cancer. 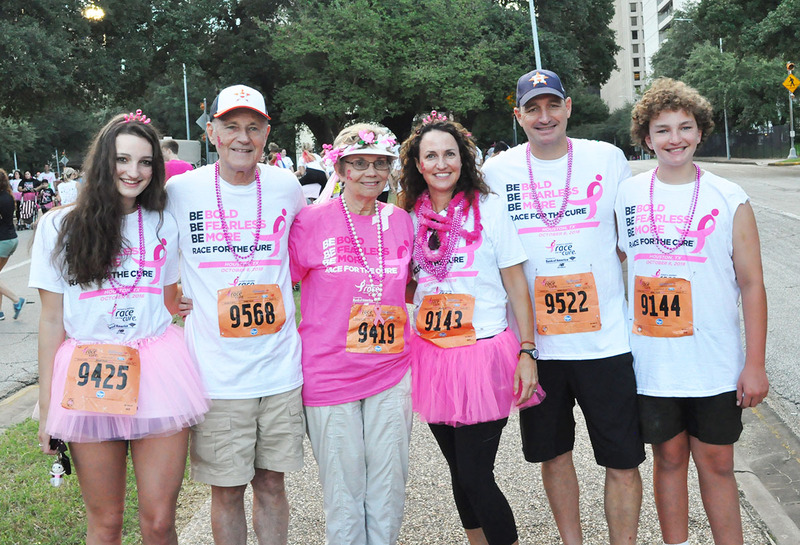 I decided to form a team in honor of my grandmother, Karen Hawkins, who is a nine-year breast cancer survivor. We named the team “Karen Knocked Out Cancer.” My friends got excited and started signing up. By the end of the day, 25 people had signed up. A month later, on race day, our team was 43 people strong! My parents Kerry Hawkins Moore and Morgan Moore, my 14-year old brother Zachary and my grandfather also joined our team. We had to be downtown early for the 5k walk since there were road closures. 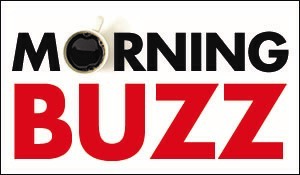 My grandmother was shocked that so many of my high school friends showed up at our house at 6:15 a.m. We all dressed up in pink tutus, beads, bandanas, leis and crowns. My grandparents could not believe the teenage boys wanted to wear tutus. It was so funny to see. On race day, the crowd was energetic and happy to be there. A couple of my friends decided they wanted to run for the whole race even though we signed up for the walk. It was hot that day, and several of the boys dunked their heads in the Wortham fountain to cool off. My grandmother was touched that my friends and I were supporting her and this amazing cause. My great-grandmother was also a breast-cancer survivor. My middle name (Elizabeth) came from my great-grandmother. This made the team even more special to all of us. I was so happy that so many people were able to come and be a part of my team. 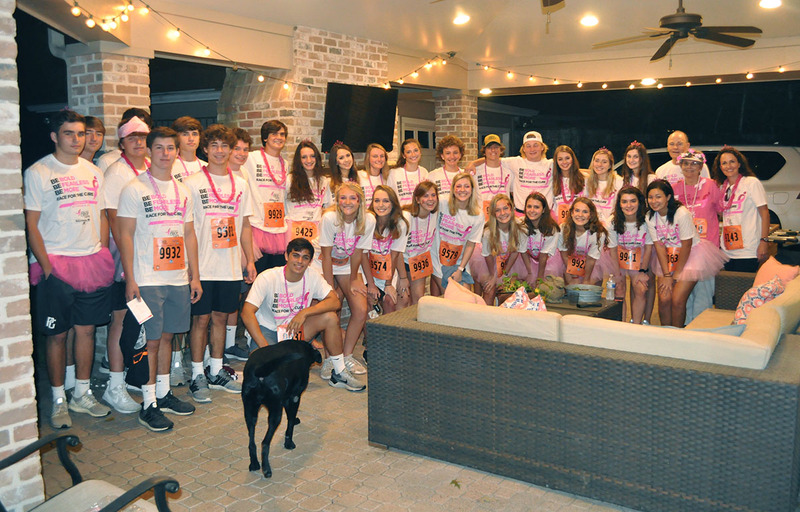 With the help of my friends and their parents, we raised over $1,600 to support research, treatment, education and community-health programs to end breast cancer. 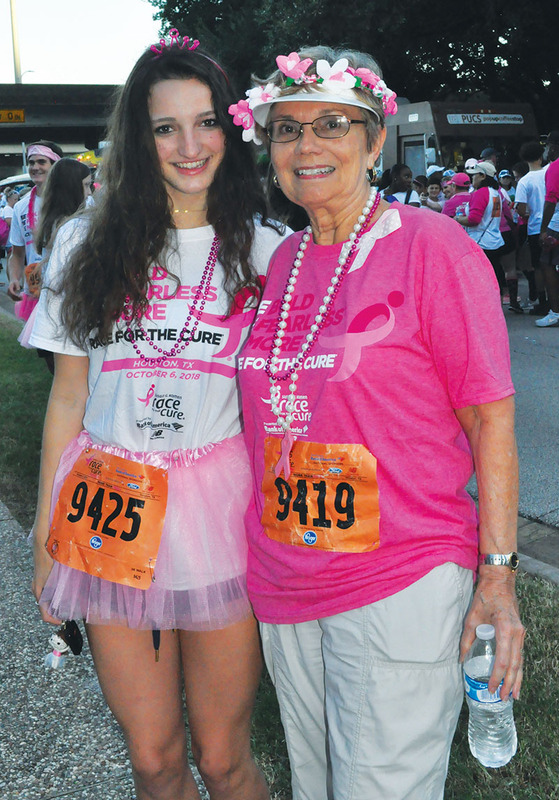 FOR HER GRANDMA Brooke Moore, a junior at Stratford High School, formed a team to participate in the Susan G. Komen Race for the Cure Houston in honor of Brooke’s grandmother Karen Hawkins (pictured, with Brooke, on race day).